Glaucoma is a buildup of fluid in the eye and the leading cause of irreversible blindness. The disease has no initial symptoms, is often hereditary, and can only be diagnosed through regular eye exams. 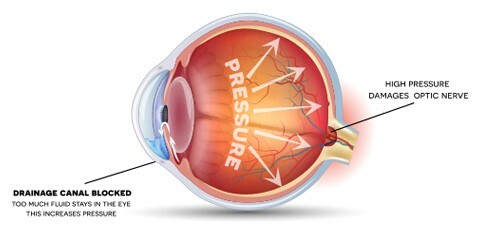 With early detection and treatment, however, you can protect your eyes against serious glaucoma-related vision loss. Without treatment, people with glaucoma slowly lose their peripheral vision and feel as if they are looking through a tunnel. Eventually, their central vision decreases until they are completely blind.